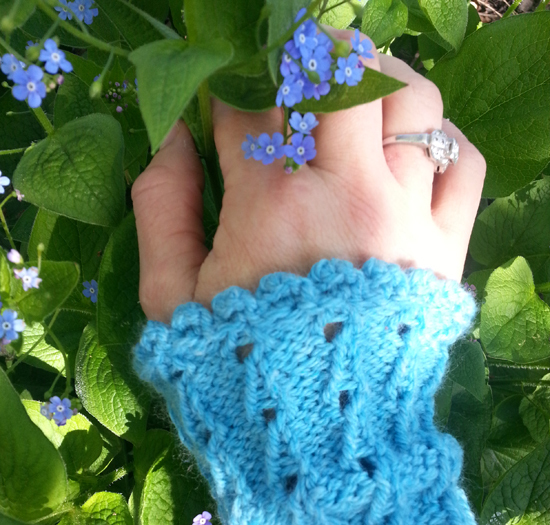 I look forward to and enjoy Spring flowers more than I ever did before I wrote my book on knitted flowers, Noni Flowers. It has always been my favorite time of year, but the process of working on knitted flowers for my book taught to me notice things about plants that I had previously been a bit blind to: the structure of a flower, the coloring of its petals, the way it unfurls, the shapes of buds, the procession of leaves, bud, flower. . . there are details I had not previously noticed. I notice the color of stems now, the shapes of sepal leaves, the colors and form of stamens all with an eye not just to enjoy but to knit. 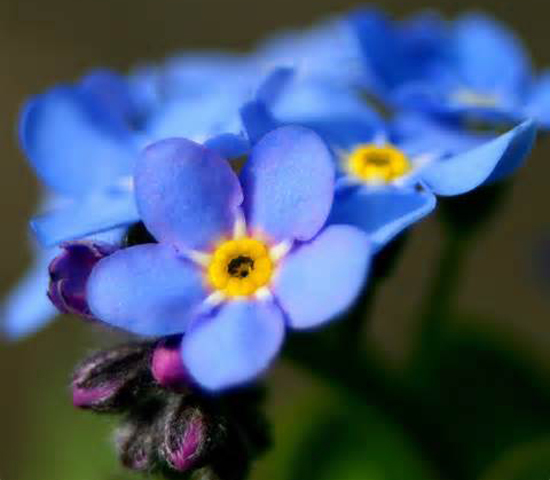 The Forget-me-not flower details we can’t usually see. When an interviewer asked me, on the heels of the book’s publication in 2012 what inspired me to make these flowers, “lifelike flowers,” my answer to her question is, in many ways, the same answer or, rather, advice that I gave to writing students so many years ago and to my knitting students now: When you seek any inspiration, the basis for a story, a description of place, events in the past or future, a design theme, a color scheme, a fair isle design, the colors to pick for the tulip you might be inclined to knit out of my book, you don’t have to come up with that material whole cloth out of your own brain. 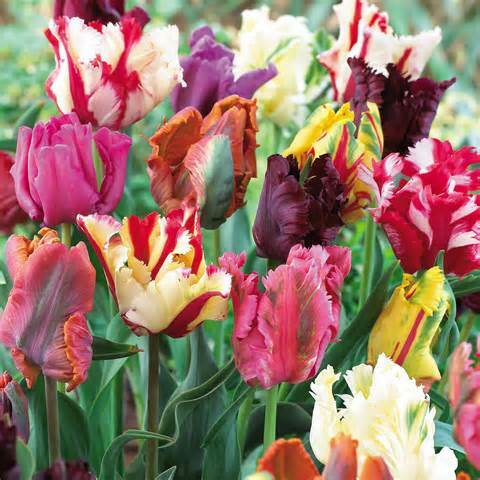 If I resorted only to what resided in my mind already, the flowers I might knit would look little different from those in the drawings of daisy-like or tulip-ish flowers I drew as a child. They were approximations of what I was then capable of drawing, the flowers most familiar to me. 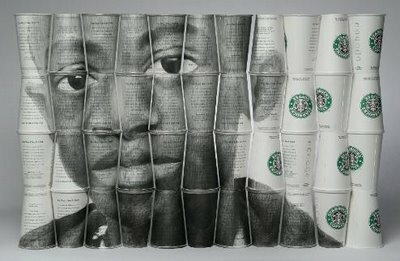 I suggest to all of my students to become better observers of the world, but also to trust their own creative impulses. So often we talk ourselves out of our ideas. The first idea might be so grand we don’t think we can possibly make it real . . . but maybe we can. Maybe you can. When I started working on my book, I didn’t know if I could pull it off. But I said I could and I told Random House I could. And then I did. There were flowers I chose not to try, telling myself they were too hard: orchids, for example. but I am quite certain now that if I set my mind to sit down and work on an orchid until I could hold the finished one in my hand, I could do it. I could make an orchid out of yarn. 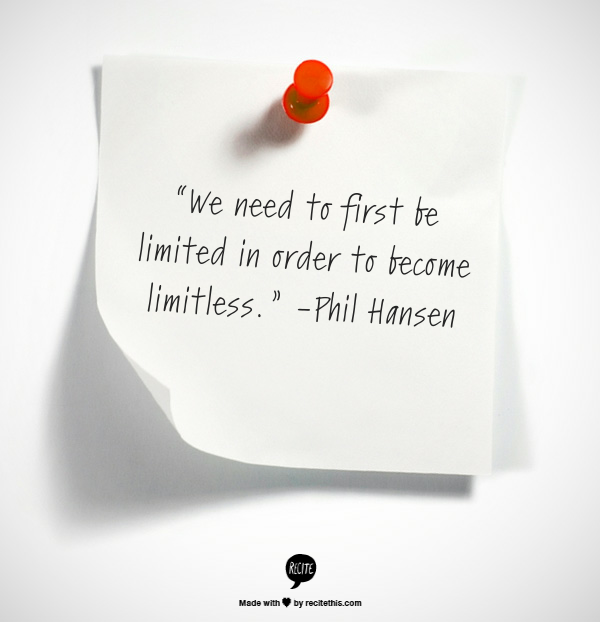 His recipe for exploring the limits of your creativity? Don’t talk yourself out of your creativity. Expect to fail. Expect the creative process to lead you to a place you might not have thought you’d go. Roses are in bloom here in the East. My own New Dawn climbing rose, trained on an east-facing wall of my house, is spectacular. Beneath it, on the brick path, is a bed of pale pink fallen petals. Drizzled over vanilla ice cream, a lovely sweetness to delicate ice teas, a refreshing addition to an icy cold glass of water . . . you can think of other ways to use it, I’m sure. Making the syrup couldn’t be easier. I make it with my son (it’s a simple, fun project for adult-kid collaboration. 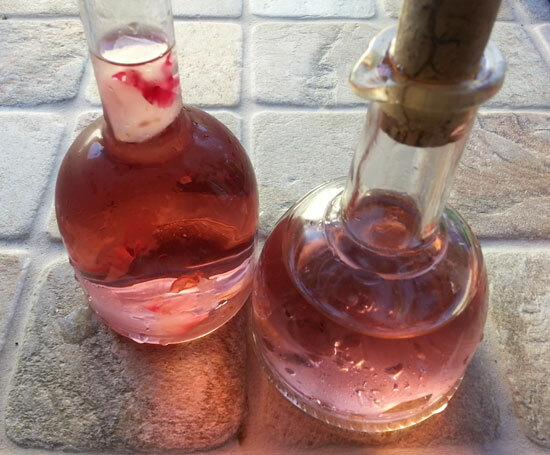 All the collecting is fun, too) and we have a great time thinking up new syrups to make: lavender syrup, for example. All you need is a sauce pan, 1 cup of water and 1 cup of sugar. Increase the 1 to 1 ratio to make bigger batches. 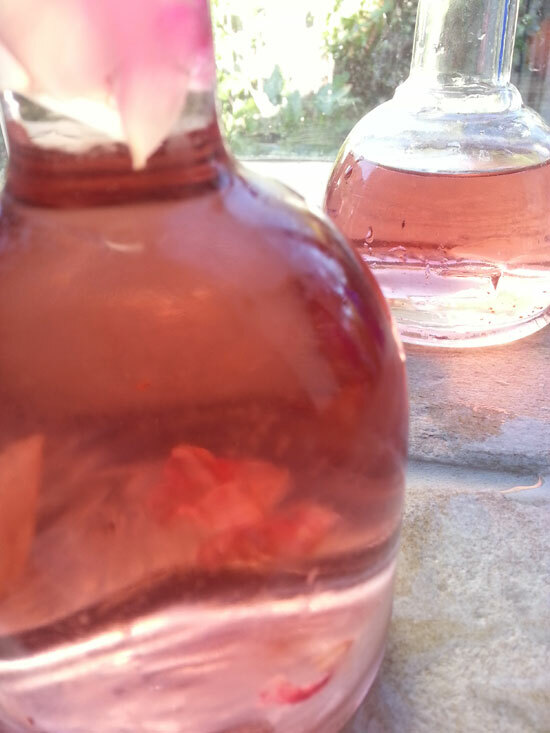 To make rose syrup, collect a cup of rose petals right off the plant. The fresher the better. We just pull them from the flowers still on the stems. 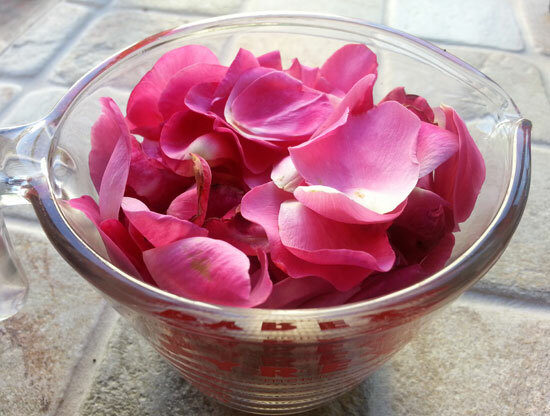 Add the water and petals to a saucepan, boil until the water is the color of the petals, but softer. Scoop the petals from the water with a slotted spoon. Next, add the cup of water and bring to a boil. Boil until all of the sugar is dissolved. We like to pore the syrup into pretty class bottles. Cool, then put tops on. Refrigerate. To save syrup, you will want to sterilize jars in hot water bath or dish washer (from which you remove them when they are still very hot), pour in syrup, and then put on sterile lids. Make sure they seal. Give as gifts or store as you would jams and jellies. We like to use our syrup right away, however, so we just refrigerate. If you use it right away in a tall glass of icy water, you might even put in a rose petal or two – so beautiful. I’ve served this to dinner guests and it has always been a dinner favorite. To make Lavender syrup, you collect the fresh purple blossoms, taking them carefully off of their stems. A tablespoon or two will do the trick. Boil as you would rose petals and follow the same procedure as above. My grandmother used to do the same with violets. To this day, I can’t see violets without thinking of her. I have let them take over one side of the house and we call it violet valley. In Spring, it is magical. Both Lavender and violet syrup have a pale purple color but Lavender syrup takes on the distinct flavor of lavender. It is very exotic and fantastic over ice cream.